Texting is easy and comfortable than speaking because you will have enough time to think what you want to send (or) sometimes you may find it creepy to speak straight looking into their eyes, because when you are not sure, what you're about to talk is right or wrong, we may face lot of inconveniences to stay in a position to talk, so most of the people opt for texting rather than speaking. Perhaps even texting can also lead you to embarrassment when you text the wrong message to a right person (or) the right message to a wrong person. If you realize immediately that either the message was wrong or the recipient was not the appropriate one to receive before it reaches to their device, then it's not too late to recall it back in WhatsApp. What is the meaning of the Whatsapp Check Marks? Whenever a message is typed on WhatsApp and enter key is pressed, then the message will go through 4 different stages at a significant time interval and each stage was denoted with different check marks symbols. Listed below are the 4 check marks appear during the message transaction on WhatsApp. Clock Symbol - The clock symbol denotes that the message has been posted but not delivered to either WhatsApp server or to the recipient. One Tick Check Mark - The one tick check mark denotes that the WhatsApp message has been successfully posted on to WhatsApp server but not yet delivered to recipient mobile device. 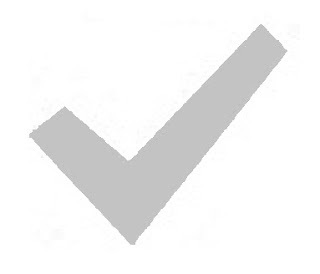 Double Tick Check Mark in blue color - It denotes that the sent WhatsApp message has been successfully delivered and seen by the recipient. If your WhatsApp is the latest version(2.17.395 or higher) and if the posted content is not more than 7 minutes of time, then you can delete the chats/message just by click and hold to delete the inappropriate content sent by mistake. For more information Visit this Link: How to Delete Sent/Delivered or Read WhatsApp Chats message posted before 7 minutes of time. 1: How to Delete WhatsApp Message when Clock Check Mark Pops up. At this stage, the message that you have typed and sent is not yet gone to the second stage (i.e. it has not yet moved from your device). Hence deleting the message from your device at this stage will prevent the message from delivering to the recipient. But this will happen only when your mobile internet connection is poor enough to send instant messages on WhatsApp. Slow internet connection will take time to move the message from one device to another. In that meantime before the migration of your messages from your device to the recipient mobile device and Whatsapp server, when you delete it immediately during the clock sign check mark existence, the message will be deleted and no longer will be sent to the recipient. 2: How to Delete WhatsApp Message After One Tick Check Mark is Visible. Most of the WhatsApp users think that whenever a message has been sent from their device, deleting the Whatsapp message from the sender's mobile will automatically block the message from getting delivered to the recipient device. Now open the contact's WhatsApp profile of a person whom you sent the wrong message by mistake and want to stop it before getting delivered into their account. 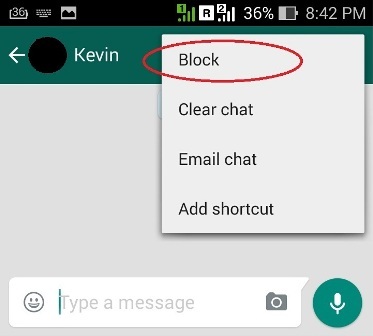 Block the contact immediately on Whatsapp temporarily, Keeping them blocked for 30 days (or) till they switch on Whatsapp on their mobile device will automatically block the message from delivering into their account. If the recipient opens his WhatsApp Account while it's still blocked by you, then your message will never/ever be delivered to him even if you unblock him later on. Caution: Unblocking the recipient before he opens his Whatsapp account (or) before 30 days will deliver the message sent to the recipient. Note: Undelivered WhatsApp messages will be automatically deleted after 30 days from WhatsApp server(i.e: If you send a message on WhatsApp for a contact if the recipient is unavailable and not switched on WhatsApp in their device for the past 30 days, then the message will be automatically cleared from the WhatsApp server, hence it will not reach the recipient account). Don't have the patience to wait for a 30 days period, then once you know the contact has opened his WhatsApp profile through their last seen notification, then Unblock the contact on WhatsApp, and conclude that your wrong message wasn't delivered. Now you know that the message which you sent by mistake will never be a mistake since it wasn't delivered and read by the recipient to whom you accidentally sent. Note: If the recipient has set privacy settings for last seen notification, then you never know whether the recipient has opened his WhatsApp account or not. 3: How to Delete WhatsApp Message, After Double Tick Check Marks? If you are at this stage, then you're unlucky, because the message that you typed has been already delivered to the recipient, hence it is impossible to recall it from the recipient mobile device in WhatsApp. However, there are several other messengers that are alternative for WhatsApp which has the feature to recall the sent message from their device such as GoSMSPro for Android and Blackberry's BBM messenger's which has retractable message and message with a counter. 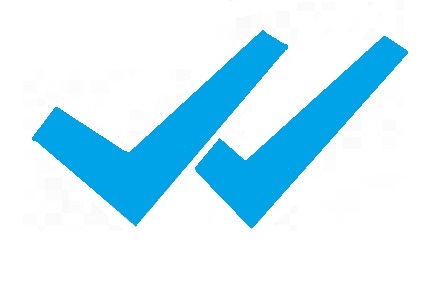 There is no point in recalling the message At the 4th stage (i.e Double tickMark in blue color) since the message has already seen and read by the recipient. Hence the damage is already made, now we need to face the consequences of what we did without thinking, So be very careful to whom and what you are texting, because unlike words that are thrown in air, which doesn't have physical records as evidence of our sin, messages transferred on WhatsApp have records for all your mistakes. 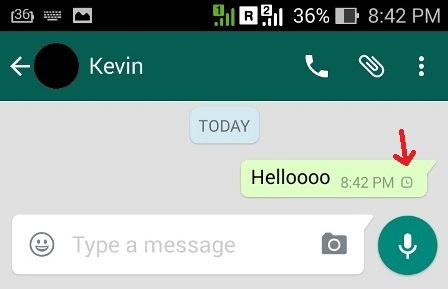 With regular updates from whatsapp, can this method still be used? nice and clear.. thank you very much.. It's a lie. Messages with a single tick don't get deleted from the recepient'so device even if you you block him. Misguiding article! There is a way for deleting single tick messages.If you will block that person to whome you have sent that single tick messege until he comes online on whatsapp once and goes offline again then unblock him..this method would delete that single tick messege and then if you want so delete that single tick messege from your chat too otherwise it doesn't matter much but mainly that single tick message will not be sent to that person. That person might have blocked you 7 days ago. How to delete a message from someones mind after the person has read and answered? Did anyone try waiting for 30 days? And what about voice note? I recorded a voice note and was sending it to the recipient.. as it was lengthy so it took like some time to upload but then I paused it and deleted it. Will It be sent to the recipient now? How about if you sent the message while you were blocked by that person? 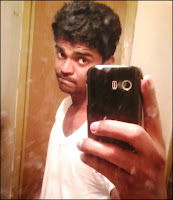 DON'T BELIEVE THIS BECAUSE YESTERDAY SAME PROBLEM HAPPEND AT MY WHTSAPP.WHEN I SENT MESSAGE WRONG PERSON THAT TIME HE WAS NOT IN ONLINE.AFTER ONE TICK ALSO I BLOCKED HIM.i think he didn'get because i will not unblock him aftr 30 days.but Moring he called me to my mobile number he asked me why you sent this picture and message me....Thats why i understood this is imossible.